Almost 90% malls today have become “Discount centers or Outlet malls” wherein their tenants (almost all the brands) are trying to attract customers with promotions and their end of season sales of up to 80% discounts. 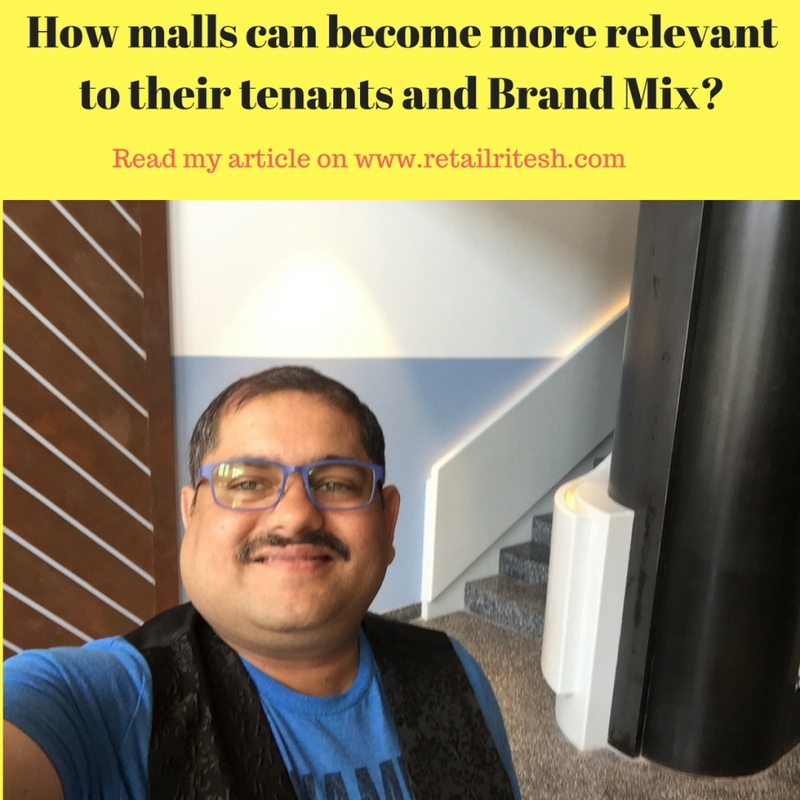 12 Aug How malls can become more relevant to their tenants and Brand Mix? My inspiration to write this article comes from my personal experience post visiting several malls in the middle-east and seeing the desperation amongst the brands and malls to attract customer footfalls. Almost 90% malls today have become “Discount centers or Outlet malls” wherein their tenants (almost all the brands) are trying to attract customers with promotions and their end of season sales of up to 80% discounts. Again I shall reiterate a quote from Einstein which is still very relevant and applicable to all the malls. “Insanity is doing the same thing over & over again and expecting different results”. Malls seem to have hit the dead wall and there is a lack of creative ideas in bringing some excitement back into retail. Below are some of my views which would prompt my readers and especially mall owners to re-think their strategies. Reducing impulse purchases (16 percent). Better parking spaces and increase in their spaces & services such as valet; apps to show customers available parking spaces in real-time even prior to customer’s arrivals. Events such as pop-up shops. Concierge services wherein you need not carry your shopping bags but instead, drop off at a particular location and the mall’s logistics partner shall deliver it at your doorstep. Recently such service has been started by grocery hypermarket Carrefour in the UAE, wherein you drop your trolley at their pick up location and they deliver the groceries at your specified address and at the convenient time. Case study 1: Constapark app service provider in the city of Bangalore, India. Constapark is transforming the way we park our car around the city by eliminating the hassle of finding parking. Its revolutionary parking & on-demand valet platform connects with customers and helps them skip the traffic every time they plan to go out. Constapark considers its USP the ability to save its customers’ time and effort, and make sure they do not have to worry about parking and the safety of their cars when you use Constapark, you get the valet to pick up and drop anywhere in the specified area limits. 2) “Food is the new Hot Trend”:- is the mantra that increasingly guiding future development. The expression reflects the idea that food has exceeded apparel/clothes/fashion segment as a force in retail and travel. Creating new “experiential dining” options that offer more entertainment for consumers. Examples include farm-to-table courtyards, gourmet food halls, and “cook your own food” facilities. In China, malls already allocate 30 to 40 percent of their floor area to food and beverages. Certain developers, such as Wanda Commercial Properties, which integrates retail, leisure, and residential into a single large complex, allocate as much as 50 percent of their footprint to public space. Since in the future many stores are likely to be smaller and lack storage capacity, mall owners could also provide tenants with logistics services. Other revenue streams might include utilizing a mall’s open spaces or closed stores for POP-UP stores, temporary stores, and other events. Retailers could be charged for this on a per-traffic basis. 4) Use of Technology: As a consumer & retail professional, I can list down various malls who still don’t offer free Wi-Fi services to its mall’s customers. Perhaps they are still “Old school of thought” but the data insights provided by offering free Wi-Fi services are really eye-opening and could prove to be a Game-changer. Hot & cold corridors of the malls– malls can then do activities to make cold corridors to attract more footfalls. These insights can also help leasing managers to re-work on their tenant mix. Offer instant promotions/offers to consumers not visiting a particular corridor. Case study: Kamppi shopping center: From its use of beacons to analyze foot traffic patterns, the Kamppi shopping center in Helsinki, Finland, learned that shopper congregate at lunchtime and not after work, as was previously assumed. Using this insight, the mall advised its food court tenants to keep & serve hot food and entice lunch-goers with exciting offers and menus. I am glad to see that few key mall owners have started to re-engineer themselves & are reinforcing their leadership stance. Again I would like to mention the wonderful pilot project “Valet trolleys” by Carrefour, I am sure this idea was born from the consumer marketing insights. In case if any of my retail fraternity members want to re-invent their mall’s purpose then you know whom to reach out. (I can be reached at riteshmohan@yahoo.com). Ritesh Mohan is a passionate Retail professional with over 20 years in the Retail sector, handling some of the biggest brands in beauty, fashion and fragrance retail & FMCG sector. He has been instrumental in the growth of some of the regional brands as well, in the Middle East region. He specializes in Retail management, Product development, Brand management, Retail Operations, Sales Management, Business Management & Empowering business owners with his wisdom & experience of over two decades in the industry.